Food shopping: normally the pinnacle of the mundane, the weekly grind, the longest of all the chores and never exciting... unless of course you find an exotic and slightly terrifying creature in your basket. That's exactly what happened to a man shopping in his local Aldi in Edinburgh. 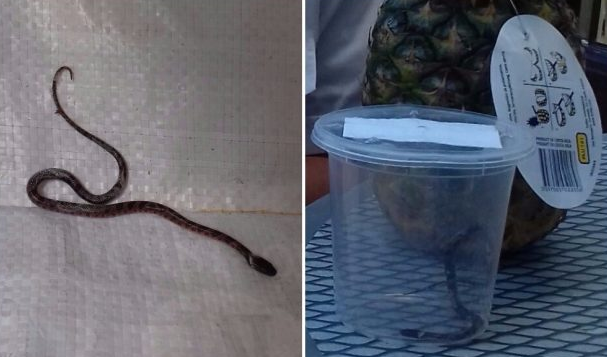 The snake was found wrapped around a pineapple that the man had bought from the store once he had arrived home. After calling animal welfare, it has been suspected that the snake travelled from Costa Rica where the bananas were imported from. 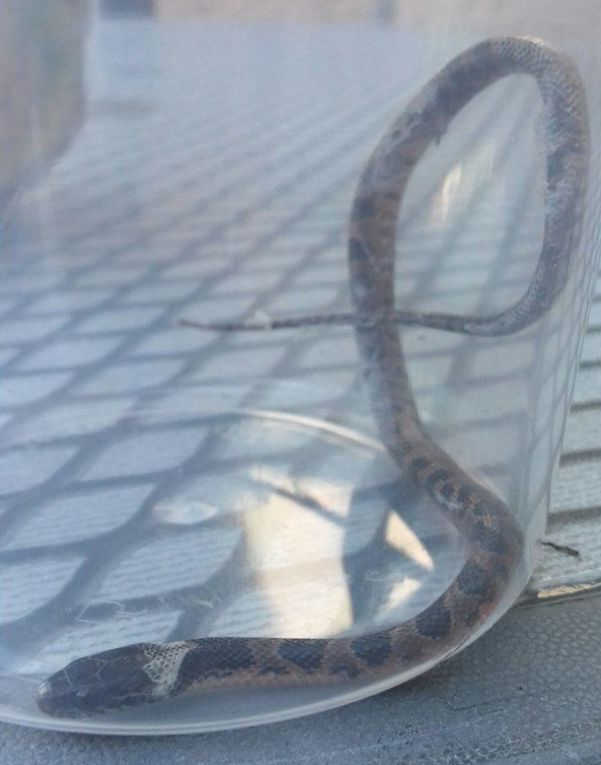 Although the snake has yet to be formally identified, Scottish animal welfare have affectionately named him Ricky. "This is the first time we, or our supplier, who supplies all major supermarkets, have received a complaint of this nature... We are investigating this isolated incident with our supplier to understand how this could have happened." ... it's a big NOPE from us.